It is installed in the ceiling at the entrance to Notre-Dame-De-Bonsecours Church in Montreal. We have in Montreal a large picture of the interior of the fever-sheds showing with painful reality the rows of plague-stricken patients with the clergy and religious in attendance on them. In the far background, the good Bishop [Bourget] himself is seen in purple cassock ministering to the sick. First came the Grey Nuns who gave themselves heart and soul to the fearful labors of the vast lazar-house…. Then the Sisters of Providence… took their places beside the coffin-like wooden beds of the fever patients in the sheds…, When these two large communities were found to be inadequate to take care of the ever- increasing multitude of the sick, a thing came to pass which struck the whole city with admiration. The cloistered Hospitallers of St. Joseph [or Hôtel Dieu nuns], whom the citizens of Montreal had never seen except behind the gratings of their chapel or parlor, or in their own hospital wards, petitioned the Bishop to dispense them their vows of long seclusion, that they might go to the aid of their dear sister communities in the pestilential atmosphere of the fever sheds. 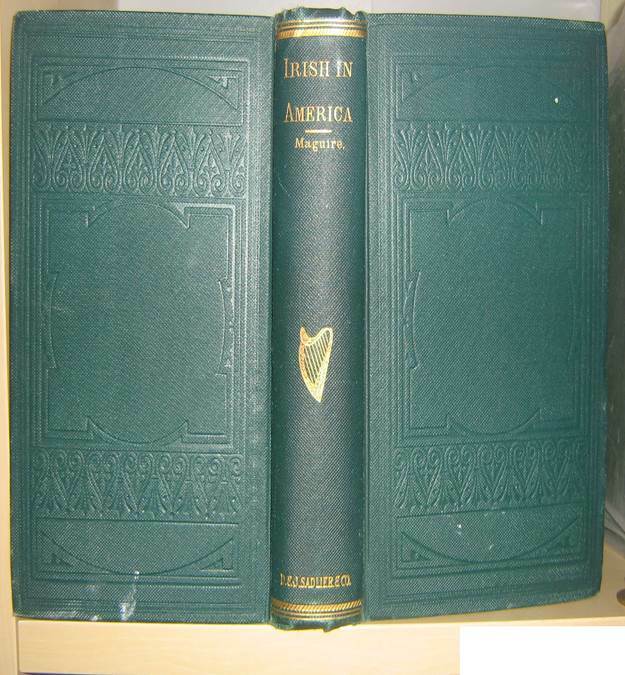 John Francis Maguire’s The Irish in America (1868) and the death of Montreal’s Irish Community Founder, Father Richards. ‘Father Richards wants fresh straw for the beds,’ said the messenger to the mayor. ‘Certainly, he shall have it: I wish it was gold, for his sake,’ replied the mayor. A few days after both Protestant mayor and Catholic priest ‘ had gone where straw and gold are of equal value,’ wrote the Sister already mentioned. Both had died martyrs of charity. The Gathering is a year-long celebration of all things Irish on the Emerald Isle, with participants coming from all over the world for special festivals and concerts. Breakaway’s Rachelle Solomon met with Jo-Anick Proulx, Site Manager for Grosse Île and the Irish Memorial National Historic Site, before he left for Ireland. He talked about representing Parks Canada and the heritage site at events in Strokestown. Exhibition: The Great Famine in South East Ulster. and North Leinster from 1845 -1850. A Farewell Tribute to the Canadian Ambassador to Ireland, Loyola Hearn. Friends and colleagues from Canada and Ireland celebrate the Ambassador’s four years in strengthening Canadian-Irish relations. 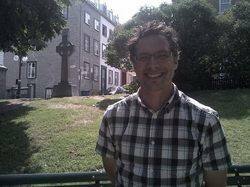 Speaker 1; Brian McDonald, Clogher Historical Society. A court room drama, by Larry McArdle. of his handling of the Great Irish Famine of 1848. First 60 registered participants only. Great Famine: What, if anything, was different about Ulster?